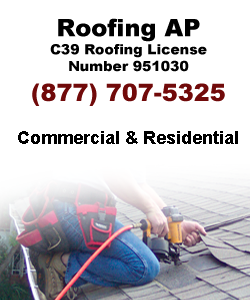 or the impression of home is getting worse by an ugly roof – AP roofing services can help. of your roof as new – offering it a bright and attractive appearance. facilitate you to put up your home for sale much quicker by increasing curb appeal of your home. So for roof restoration or any other roof job performed by a professional roofing contractor in Los Angeles – Do not hesitate. Give us a call for a professional and reliable services.